The Photograph was Different than My Memory | Ross Gale is a writer and editor from the Pacific Northwest. I write fiction in one notebook. And when I have a thought about something outside of my story I write it down in another notebook. I call this, for lack of a better term, my creative non-fiction note book. When I’m stuck I go to my non-fiction. I write what I’ve already experienced and must go back and rediscover in my memory. This past week I’ve been writing about my two older brothers and specifically a scene with one of them where we found a rock that had split in two. I wrote about the corner of the backyard where we found it. Then later in the week, my father, without knowing about my writing subject, said he found something, and brought down an old picture of my older brother and me, standing in that corner of the backyard I’d been writing about. The picture was different than my memory. But I don’t think I will change that in my story. My memory feels more real. But it isn’t the details that are the most affecting, either from my memory or the picture, it’s what I felt. It’s the joy I had of playing in the backyard with my brother, and it’s the joy that returns looking at the photograph of us. Two memories, two brothers, two pieces of one rock, but one shared and treasured happiness. What childhood memories do you go back and rediscover? One memory can have so many facets. 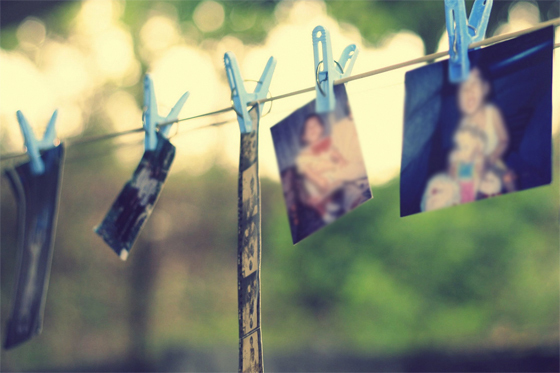 Your memory, your brother’s, and the photo’s memory. It is interesting to revisit a place from our childhood and realize it is not exactly as we remember it. Could it be we grow up and the world seems smaller when we visit these places again? I’m sure that has a lot to do with it. Although the backyard in my memory is smaller than the one in the photograph, which is strange. This kind of makes me want to take a look at pictures from when I was little and visit those memories. Do it! It’s a great trip going down memory lane. I don’t know how you stand on blogging awards – at times they do seem like a mutual admiration society running rampant, but it is also a great way to connect to people you might otherwise not find or read. Anyway, I don’t want to add to your load, but as a small token of appreciation for all that I read on this site, I have nominated you for One Lovely Blog Award.